If you are looking for a budget-friendly mountain bike with some decent specs, check out the wide range of Cannondale Trail bikes. These bikes are built with Shimano componentry with some of Cannondale’s very own creations as well. The mostly lightweight frames make for some fast rides. While we love Cannondale through and through, it is hard to say that the Cannondale Trail bikes lived up to our expectations. Cannondale generally makes some high-quality bikes, even on a budget. This line, built for trails, and they certainly look the part. But when we took them on a few rough rides, we were a little bit disappointed. Don’t get us wrong, these bikes are about as fast as they promise to be, and are built with some decent components and aluminum and alloy materials. But some of us just felt that these bikes, at least on the bottom of the line, just didn’t feel confident on the trails. Higher up the line, the Trail bikes are pretty decent, considering the price. The steering was relatively smooth both off and on the road, and the frames had a nice spring to them. 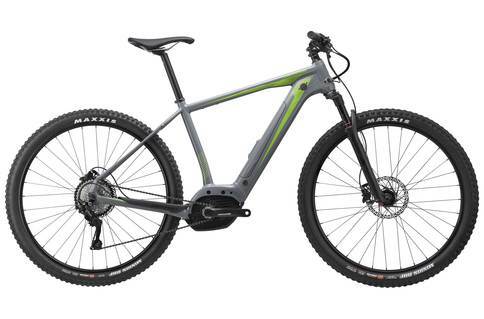 The weight of these bikes on average are about right for the usual trail needs, so if you are in need of a budget buy or a practice bike, then go for a Cannondale Trail. If you need a decent budget trail bike for practice or just for getting started with trail biking, then you might be happy with one of these models. The Cannondale Trail bikes may not live up to our expectations of this historical winner of a cycle maker, but they do get the job done. These bike can hit the road or the dirt without too much trouble, but you may not want to compete with them.